Ubuntu Tweak, the graphical configuration tool, has been updated to v0.8.8 silently with a few fixes for Ubuntu 14.04 Trusty Tahr. 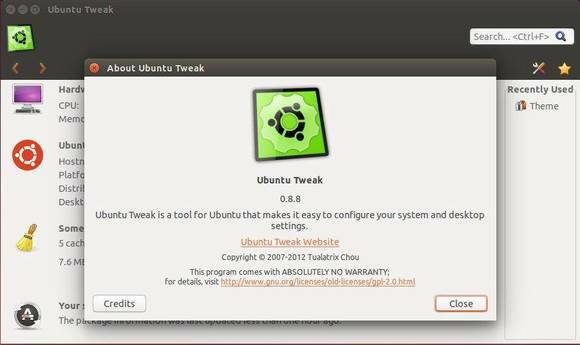 For those who never heard of this tool, Ubuntu-Tweak is one of the first graphical tool for Ubuntu which was started almost 7 years ago when Ubuntu was at 7.10 Gutsy. Cache path of Mozilla Firefox and Thunderbird in Linux has changed to ~/.cache. Now Ubuntu Tweak updated with the cache path changed. If you don’t like Ubuntu PPAs, grab the .deb package directly from HERE.